WESTBOROUGH, Mass.—February 14, 2018—eClinicalWorks®, a leader in healthcare IT solutions, is pleased to congratulate California’s Petaluma Health Center (PHC), and its over 80 providers, on being awarded a 2017 Healthcare Information and Management Systems Society (HIMSS) Davies Community Health Award. PHC received the award based on two use cases that demonstrated its efforts to use Electronic Health Record (EHR) technology to improve patient health. PHC is a Federally Qualified Health Center (FQHC), with over 80 providers committed to maximizing the value of healthcare IT to serve 35,000 patients annually. PHC used the eClinicalWorks EHR to improve clinical outcomes, improving hypertension control among its patients by 9 percentage points, and improving rates of testing and treatment for hepatitis C.
The prevalence of hypertension has increased significantly over the past two years in Sonoma County. Heart disease and stroke accounted for 25% of deaths in Sonoma County (2013) and rates are higher than both state and national levels. PHC made it a priority to decrease heart attacks and strokes in its patient population by improving hypertension control. Working with eClinicalWorks, the care team customized the EHR, to drive decisions and improve the clinical outcomes with individualized care plans. 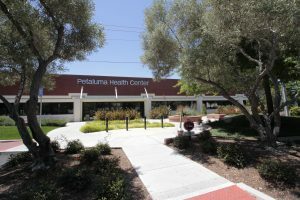 Petaluma Health Center will be recognized at the HIMSS Awards Gala at Wynn Hotel Las Vegas on Thursday, March 8, during HIMSS18. For more information on applying for the HIMSS Davies Awards of Excellence, visit the HIMSS Davies Award website. eClinicalWorks® is a privately held leader in healthcare IT solutions. 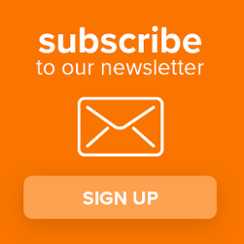 With more than 130,000 physicians and nurse practitioners using its solutions, customers include ACOs, physician practices, hospitals, community health centers, departments of health, and convenient care clinics. During the past ten years, 19 eClinicalWorks customers have received the prestigious HIMSS Davies Award, honoring excellence in Electronic Health Record implementation. The company is second largest in the country for e-prescribing. Based in Westborough, Mass., eClinicalWorks has additional offices in Austin, New York City, Chicago, California, Georgia, London, India, and Dubai. For more information, please visit www.eclinicalworks.com, Facebook, Twitter, or call 866-888-6929.